Family tradition runs deep in the Carinalli family. For as long as Domenico Carinalli, Jr., can remember, wine making has been a part of his Italian family heritage. His father was born in Italy, and it is there, that wine making was in ingrained in his genes. Venturing to America in the early 1920's Domenico Sr. continued the tradition in Sebastopol, California, where he would grow to love the land and the family he would create with his wife Evelina. Growing up Domenico would watch and learn the values of having a family farm where they raised dairy cows, made homemade cheese, butter and of course, wine. It wasn’t until the mid-1990's when Domenico Jr. would take his venture to a new level. Growing his own grapes and creating two varieties for the public to now enjoy. Domenico and Lynda, his wife of over 40 years, were not afraid to begin a great adventure of nurturing and loving a crop of luscious grapes to produce their wine. Hard work and dedication has always been tradition in the Carinalli family, and it is with these traits that they began to perform all the tasks involved in growing grapes. 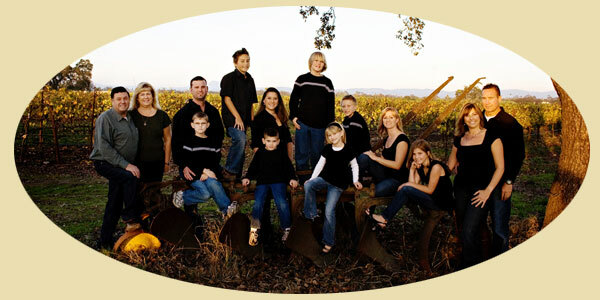 The vines of D & L Carinalli Vineyards have been hand picked and cared for by the Carinalli family themselves. They look forward to the tradition continuing with their children and grandchildren. It is with great joy that together, Domenico Jr., and Lynda Carinalli announce that they have their own private label. Currently you can enjoy their Chardonnay, Pinot Noir, Pinot Grigio and Vin Rosé wines. At present they are available for sale in California and Nevada. For all other states, contact them directly for information. These fantastic wines go with a variety of meals and are perfect to enjoy with family and friends. 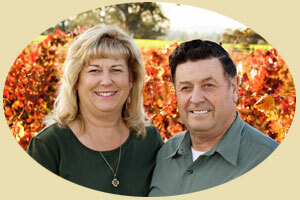 Domenico and Lynda's dream to create wonderful wines is now coming true. They thank you for visiting their website. They hope that you, too, can share in their joy by tasting these beautiful wines. © 2008 D & L Carinalli Vineyards sell fine Chardonnay, Pinot Noir, Pinot Grigio and Vin Rosé wines.